Summer doesn’t get any better than grilling and greyhounds! The GPA-WI La Crosse meet & greet that usually takes place at PetSmart will be moved to Grillin’ for Greyhounds for the summer. 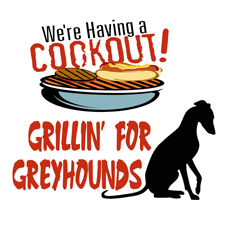 Save these dates for the La Crosse area Grillin’ for Greyhounds events: July 21, August 3 and September 22.